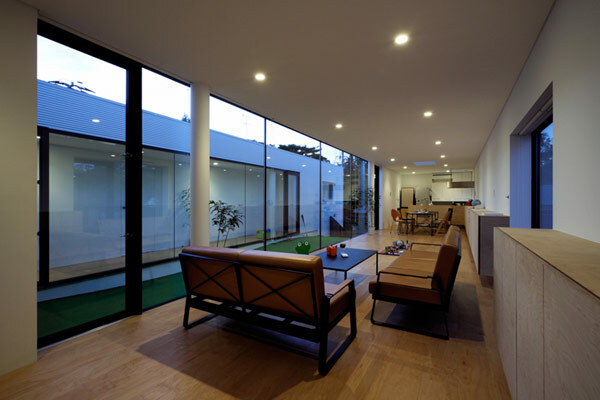 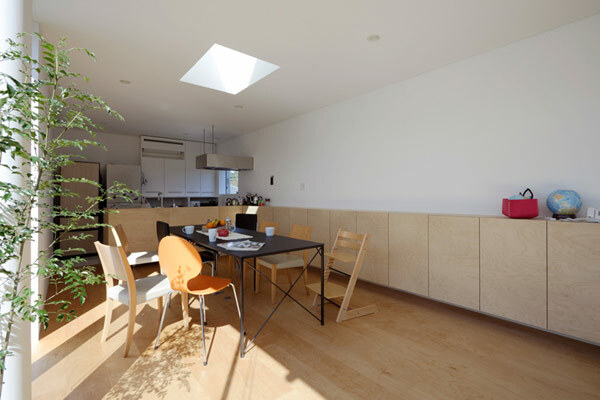 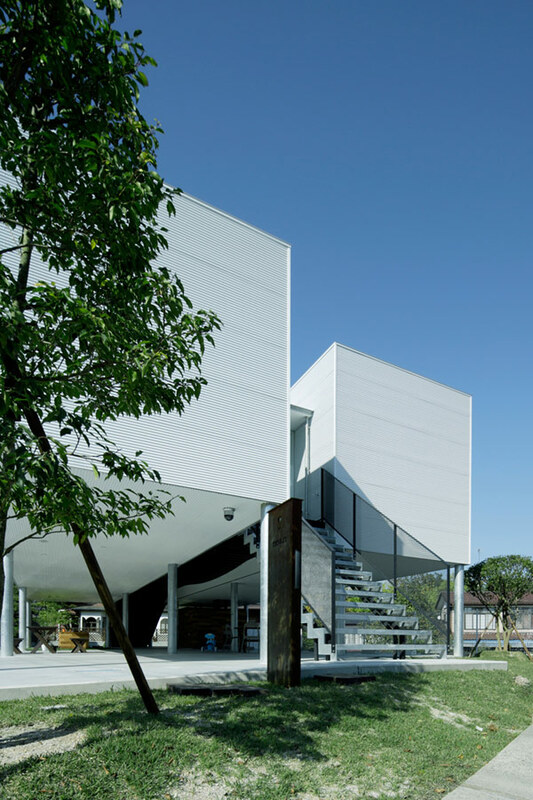 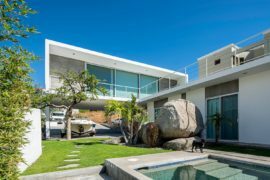 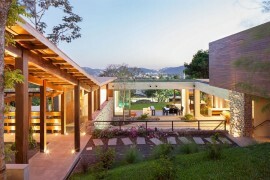 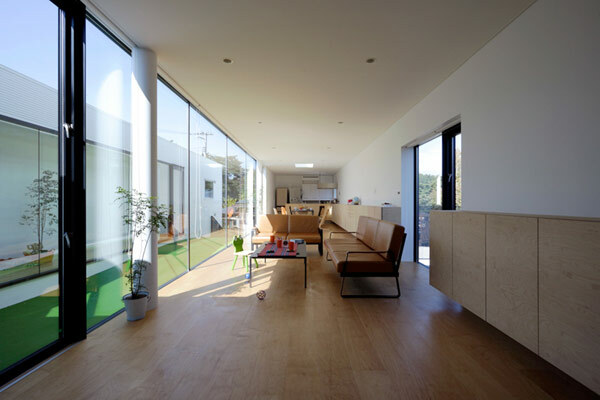 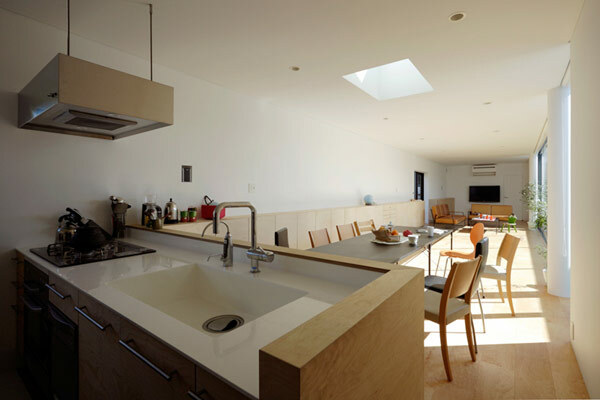 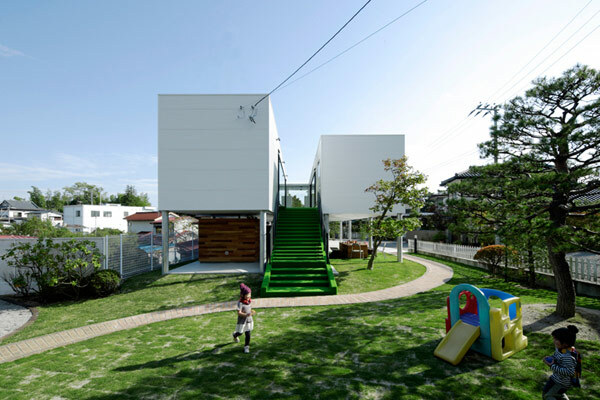 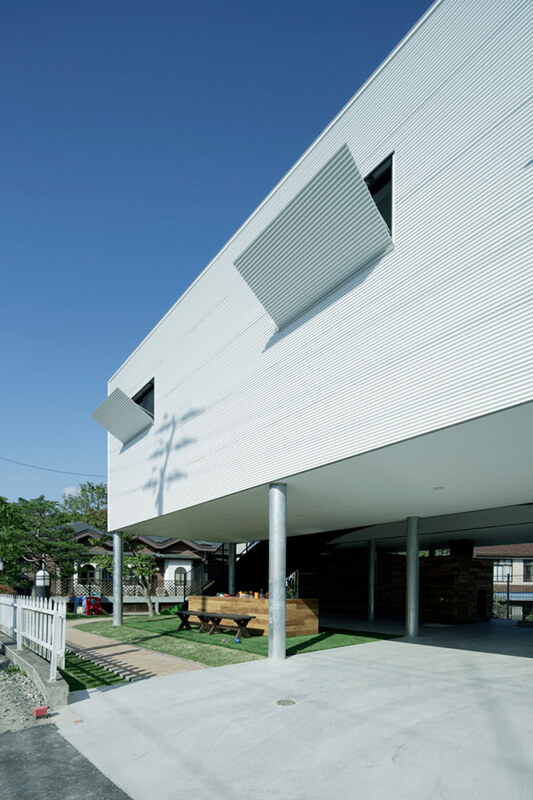 Interesting and modern, the KKC House is a residential project designed by Japanese architecture firm Number 555. 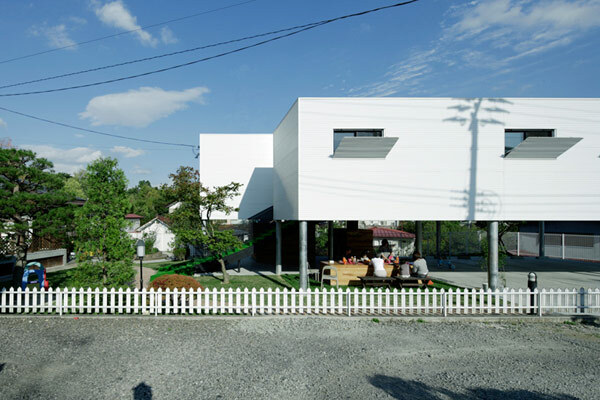 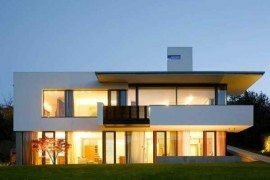 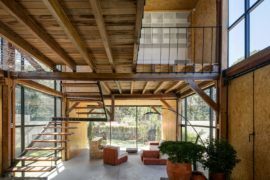 Located in in Fukushima, Japan, the contemporary residence was intentionally lifted above ground to offer its dwellers additional entertainment spaces. 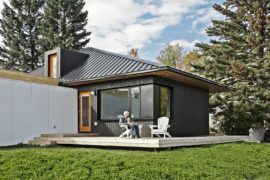 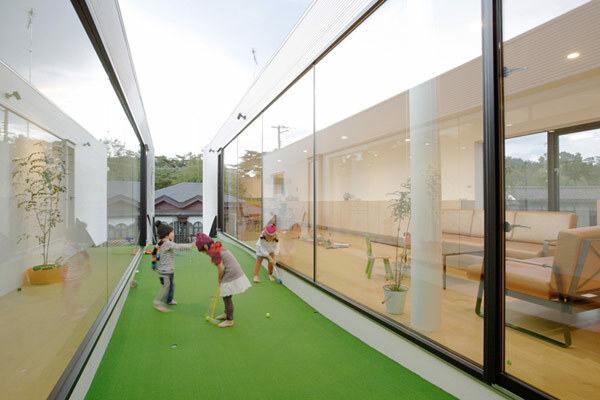 Outdoor activities are widely encouraged by the space under the house – a large multifunctional area loved by the children as well as the parents. 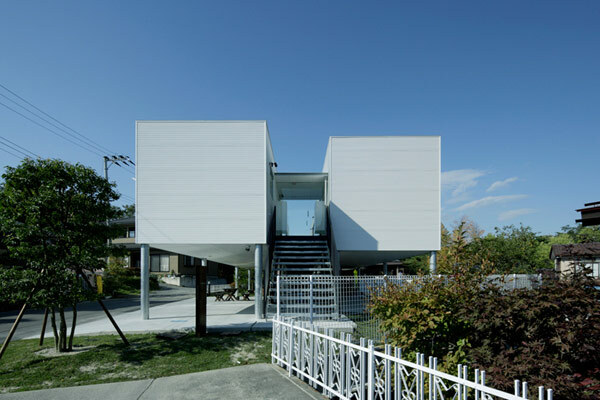 The Kanagawa-based architecture studio designed two linear volumes adorned with hide-away windows and separated by an open “spinal alley way”. 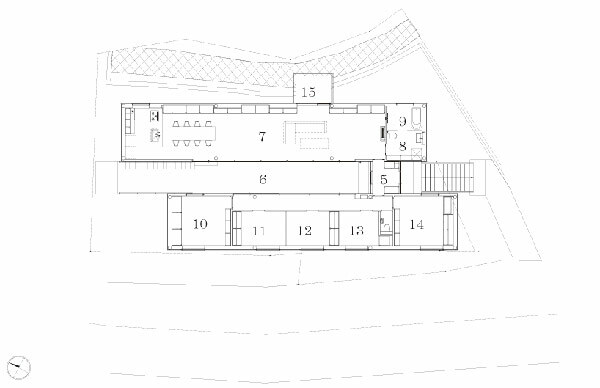 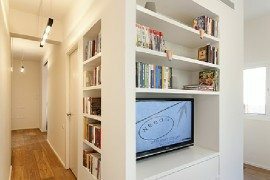 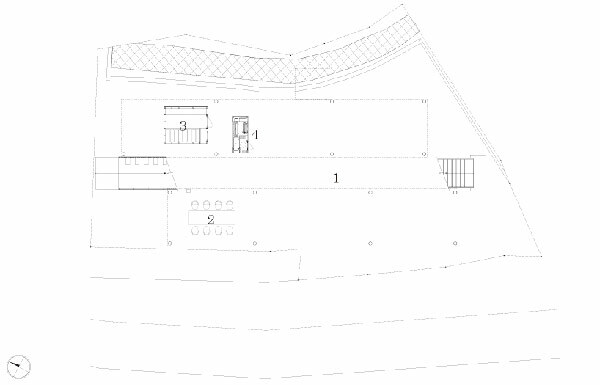 The main living and resting spaces are sheltered by each of the two volumes, separating the public life from the private one. 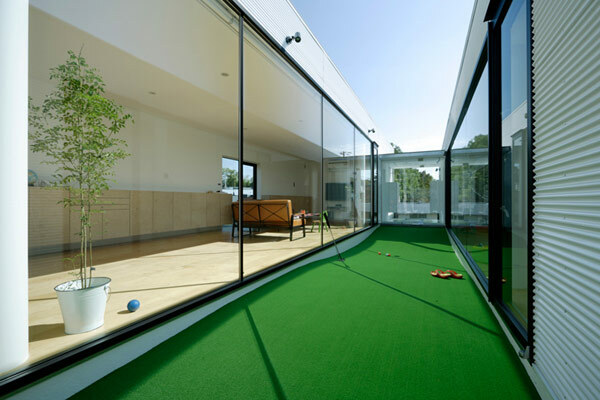 This space was transformed into a mini golf course used by the young inhabitants of this magnificent house. 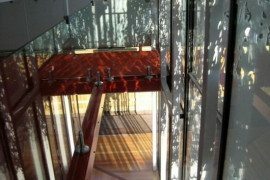 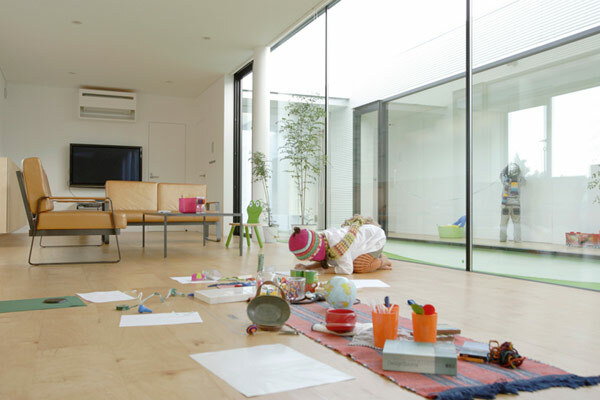 Continued from the vividly green staircase that leads to the interiors, this open space acts as a playground for the kids under the supervision of their parents.